Lucas Grabeel was born on the 23rd November 1984, in Springfield, Missouri USA, and is an actor, director, producer, singer, and songwriter, perhaps best known for his role as Ryan Evans in the “High School Musical” film series. Grabeel has also played in such movies as “Halloweentown High” (2004) and “Return to Halloweentown” (2006), while he currently plays Toby Kennish in the series “Switched at Birth” (2011- present). His career started in 2004. Have you ever wondered how rich Lucas Grabeel is, as of late 2016? According to authoritative sources, it has been estimated that Grabeel’s net worth is as high as $800,000, an amount earned through his successful acting career. In addition to appearing on television and in films, Grabeel has also recorded numerous songs, which have improved his wealth too. 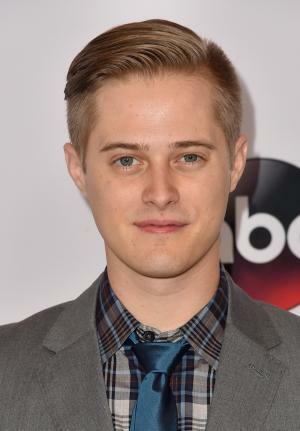 Lucas Grabeel was born a son of Jean and Stephen Grabeel and grew up in Missouri, where he went to the Logan-Rogersville Elementary, Middle and High School before Kickapoo High School, from where he matriculated in 2003. In the meantime, Lucas played drums in a local church and was a part of a men’s a cappella high school singing group. Grabeel can also dance in jazz, ballet, hip-hop and tap styles. In 2004, he moved to Los Angeles to pursue his acting career, and landed his first job in a commercial for toothpaste and later did commercials for Lego and Hot Wheels. Also in 2004, Grabeel played Ethan the Warlock in “Halloweentown High”, and then appeared in such series as “Boston Legal” (2005) and “Veronica Mars” (2005-2006). In 2006, Lucas had a role in Kenny Ortega’s Primetime Emmy-winning TV movie “High School Musical” and starred in Primetime Emmy Award-nominated “Return to Halloweentown”. From 2006 to 2011, Grabeel appeared in three episodes of “Smallville” as young Lex Luthor, while in 2007, he played in Primetime Emmy Award-nominated “High School Musical 2”. Also in 2007, Lucas co-starred in “Alice Upside Down” alongside Alyson Stoner and Luke Perry, which only improved his wealth. By the end of the 2000s, Grabeel had parts in such movies as “College Road Trip” (2008) starring Raven-Symoné and Martin Lawrence, in “High School Musical 3: Senior Year” (2008), and in Gus Van Sant’s Oscar-winning biography drama “Milk” (2008) with Sean Penn, Josh Brolin, and Emile Hirsch. In 2010, Lucas appeared in an episode of “CSI: Crime Scene Investigation”, and then played in “Virginia” (2010) alongside Jennifer Connelly and Ed Harris. From 2011, Grabeel has played Toby Kennish in the ABC’s series “Switched at Birth”; the show is still running, and Lucas has appeared in 94 episodes so far. He also works as a voice actor and had roles in “Family Guy” (2010-2016), “Sheriff Callie’s Wild West” (2014-2015), and most recently “Elena of Avalor” (2016). In 2007, Grabeel founded a production company called 14341 Productions and thus far has produced numerous short films and music videos, after debuting at the Sundance Film Festival in 2009. Regarding his personal life, Lucas Grabeel’s most intimate details such as marital status and the number of children are unknown as he successfully manages to keep them out of the public eye. His best friend is actor/singer Drew Seeley, he does a variety of accents, is a tenor, and plays the piano, guitar and accordion. 1 I always wish life could be a musical. One person just says 5, 6, 7, 8. 2 I'm taking the biggest risk I've ever taken in my life, to just pick up and move, But this is what I've always wanted to do. 3 It is absolutely amazing; singing is what got me into acting, and it's crazy that once i moved out to Los Angeles, I thought that it wouldn't be part of my life anymore. But then here it goes... It's just out of nowhere and I had no idea it was gonna have this much success. It's great. 4 The greatest thing about where my life is right now is it's very relaxed and chill. I'm just hanging out, being myself and doing my work. 5 I don't care about money or fame or anything like that, but it would be a perk. 6 Every day it seems like something happens to assure me I'm in the right place, and that doing anything else would be wrong. I feel so incredibly blessed. 7 It's amazing with the album going Gold and all the i-Tunes downloads and everything. It's insane. We don't have a Grease or Footloose or Flashdance in this generation. And it's great that they have something that's readily available tp all these kids so they can download the music and listen to the songs. Now they can learn the dances and watch it at home, and soon they'll be able to buy it on DVD, and then they'll have some part of the music, because the music is so important, especially to a child's life. 8 I want to do more mature, artistic, twisted, edgy films. That is my goal. 9 I have just cleaned my apartment a lot and have spent a lot of time hanging out with my sister's dog in the apartment! I am the same as everyone else- working and just trying to get the next role. 10 I dislike math, yet I respect and appreciate the fact that math is the language of the universe. 11 Success is the most important thing to many. To me, it's just a bonus. 12 I can't live without creating so being an artist is never going to be out of the question for me. If not in acting, some other art form. 13 I still feel like a little boy on the set, watching the movie magic being made. 14 It's nice to know you're working on something that will mean something to kids. 1 Good friends with actor/singer Drew Seeley. 2 Worked at Blockbuster Video in Sherman Oaks, CA when he landed the role of "Ryan Evans" in High School Musical (2006). 4 Dances jazz, ballet, hip-hop and tap. 5 Plays piano, guitar and accordion. 6 Does a variety of accents. 7 His favorite dance as a kid was the hokey poky. 8 Is a fan of actor/writer Christopher Guest. 9 Was offered a role on The Suite Life of Zack and Cody (2005), but when the script called for him to kiss co-star Ashley Tisdale, the role went to another actor, Zac Efron, due to the brother- sister dynamic established in High School Musical (2006). Zac is also in High School Musical and plays Ashley's crush. 10 Auditioned for a role on The Young and the Restless (1973). 11 Memorized the entire "Get'Cha Head in the Game" dance, even though his character in High School Musical (2006) wasn't involved in the sequence. 12 Lucas played drums for a local church and initiated a men's a cappella singing group at Kickapoo High school. 13 Lucas also went to Guatemala on an annual basis with his family as a part of a mission's team for six years. 14 While in Rogersville, Missouri, he regularly attended Harmony Baptist Church, where he was a part of the children's and youth groups. 15 Prior to attending Kickapoo High School, Lucas attended Logan-Rogersville High School. At Logan-Rogersville, he performed in many school productions, as well as the varsity choir. 16 Attended Kickapoo High School, the same high school Adrienne Wilkinson, Jay Kenneth Johnson, and Brad Pitt attended. 17 Lucas landed his first commercial 2 months after moving to LA, and his first movie, Halloweentown High, came just a few months after that. 18 At one point in early 2006, Lucas had three songs on the top ten iTunes downloads. At that time, six of the top ten were from the soundtrack to High School Musical. 19 Came in 5th at the 52nd MSHSAA Speech & Debate Championships in 2003. I Kissed a Vampire 2010 lyrics: "DANCE WITH DARKNESS" / performer: "OUTTA MY HEAD", "LITTLE PECK", "JUSTA DROP", "TRY", "FEEL U", "OUT FOR BLOOD", "DANCE WITH DARKNESS", "DIG DOWN DEEP", "HAPPILY AFTERLIFE"
High School Musical 3: Senior Year 2008 performer: "I Want It All", "A Night to Remember", "Just Wanna Be With You", "Last Chance", "High School Musical"
College Road Trip 2008 performer: "Getting to Know You"
Alice Upside Down 2007 performer: "Jenny Got a Fever", "Gotta Rock"
High School Musical: The Concert - Extreme Access Pass 2007 Video performer: "Start of Something New", "Stick to the Status Quo", "I Can't Take My Eyes Off of You", "We're All In This Together" - as Cast / performer: "What I've Been Looking For", "Bop to the Top"
The Fox and the Hound 2 2006 Video performer: "You Know I Will"